It is a common belief that if one does not live in a major urban center like New York City, or Los Angles, that one, well, really does not exist. William Allen White (1868 – 1944) would have disagreed. White was the owner of the Emporia Gazette, as well as a politician, author, and leader of the Progressive movement. White was nationally known and highly influential. All the while based in a small city right in the middle of the country. The White home (just a few blocks north of the Cross House) is today a state-owned museum, and a tour is recommended. The White home, known as Red Rocks. Red Rocks carries a rich history. Almerin Gillette, a cattleman and lawyer, built the house to impress his young wife, who moved from New York City to Emporia in 1885. The market crashed prior to the completion of the house and Gillette could not afford to finish building it. The Gillettes lived in the uncompleted home for 14 years. The White’s daughter, fourteen-year-old Mary, designed the plans for her dream bedroom. She didn’t want any furniture in the room and chose a “minimalist” design, without a bed. Instead, she designed a space outside of her room to house her sleeping quarters. This space was big enough to hold a small cot. Mary put the cot on wheels so that she could wheel it in and out of the room. Unfortunately, White’s daughter died in a horse-riding accident prior to the completion of the renovations. William Allen White lived in the house until his death in Jan. 29, 1944. His son, William Lindsay White, lived in the house after his father, but only for the spring and summer seasons. During the fall and winter, William Lindsay White and his wife, Kathrine White, lived in New York City, where his daughter, Barbara White Walker, went to school. When Katherine White died in 1988, Barbara White Walker inherited the house. Since then, Walker heated and cooled the house, kept the electricity on and maintained the grounds. 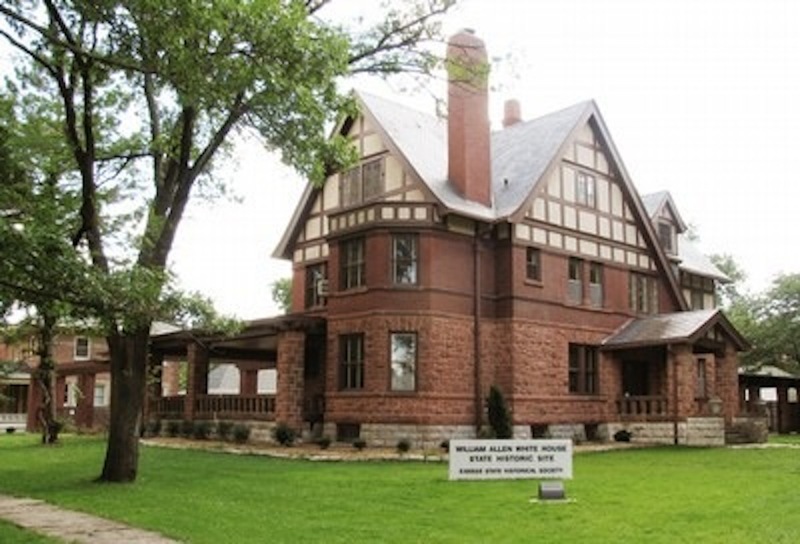 The Walker family gave the house to the Kansas State Historical Society in 2001. It is now operated as the William Allen White House State Historic Site. I love Willian Allen White’s house it’s gorgeous and if its a few blocks from the Cross house then I’ve most likely seen the Cross house, too.